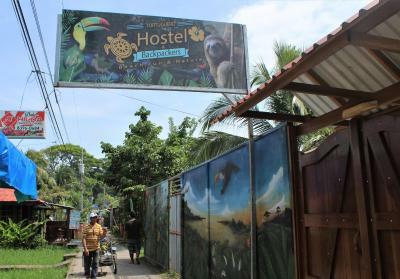 Lock in a great price for Tortuguero Hostel & Backpackers – rated 8 by recent guests! Room was ok; bed not the most comfortable. 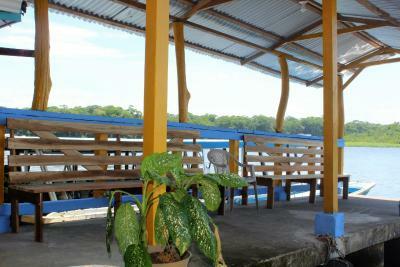 Convenient location along the waterfront, maybe 50m from the main dock and easy walking distance to everything. Staff was friendly; helpful as needed. I did not use the kitchen. 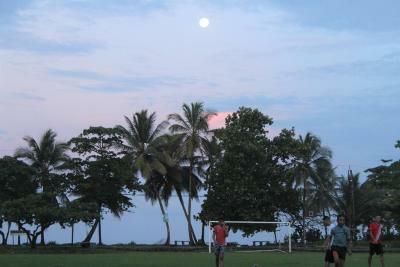 Amazing Hostel, great location, knowledgeable staff.! 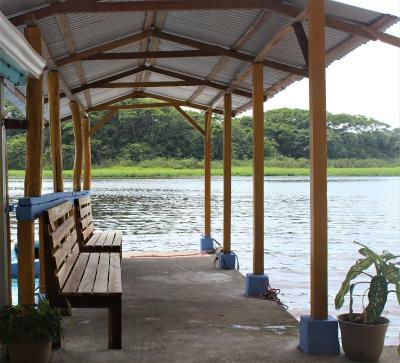 Greeted upon arrival in Tortuguero, easy check-in process, room was tidy, excellent location right on the lagoon, relaxing hammocks on the property, plenty of activity options, friendly staff. 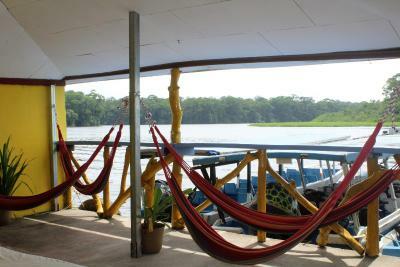 We were right on the lagoon, had a huge common area with hammocks. 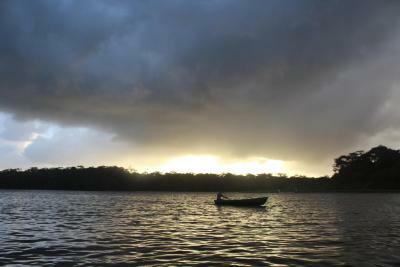 You could watch the boats come in, feel the breeze off the water and the rooms were spacious. 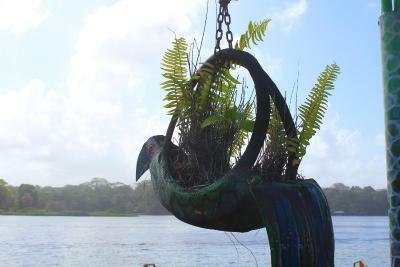 The location is good , on the main « road » of tortuguero . The room was ok for the price, and the outdoor spaces of the hostel were bright, cheery and nice...hammocks, benches on the water...safety behind a locked gate. The location was fantastic. 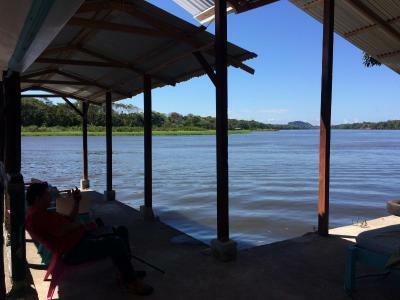 Great location, right on the water. 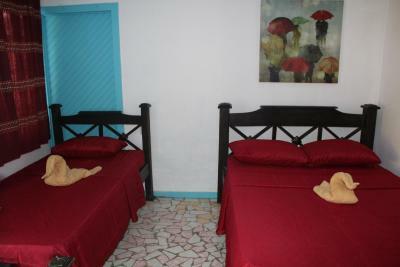 At the price you can’t expect much for the rooms or facilities so it is still good value for money. Wifi was pretty good. 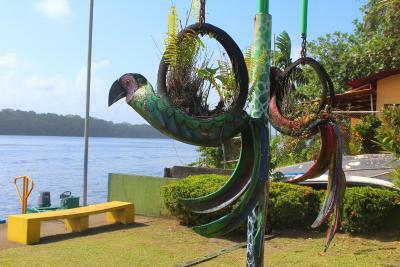 The location on the river was great, I enjoyed the hammocks and where they were positioned on the river shore. The hostel is really close to the ship station. There are some restaurants nearby. The hamocks are really nice right next to the water. 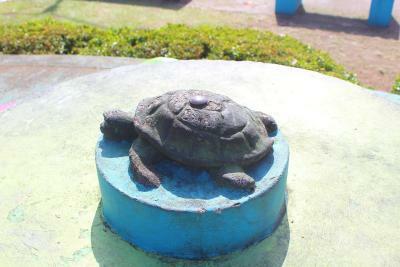 One of our best sellers in Tortuguero! 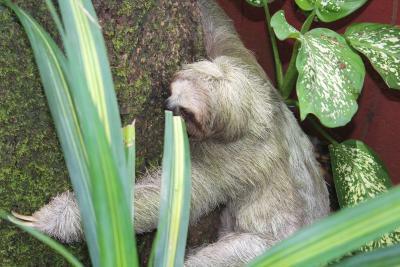 Located in Tortuguero, Tortuguero Hostel & Backpackers provides a garden. 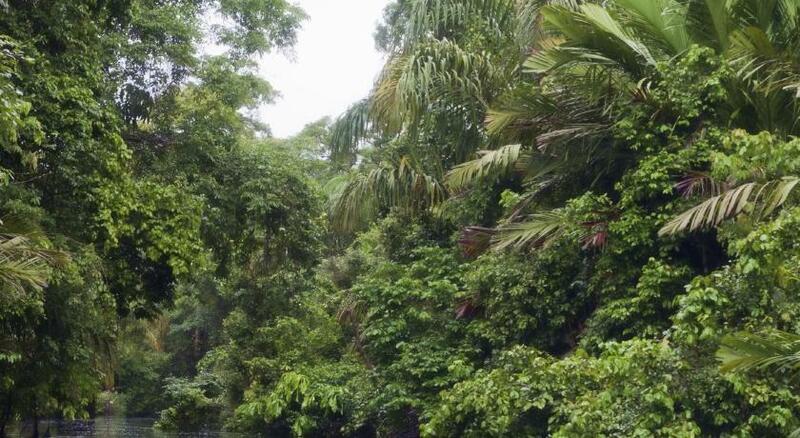 Built in 2014, the property is within a 7-minute walk of Tortuguero National Park. Facilities include a terrace and free WiFi is accessible. 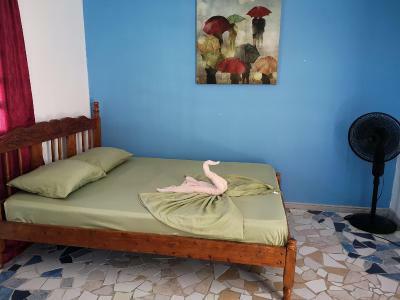 At the guesthouse, rooms include a patio. 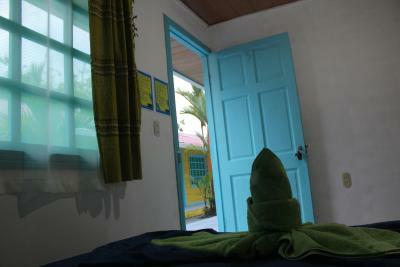 With a private bathroom, certain units at Tortuguero Hostel & Backpackers also feature a mountain view. 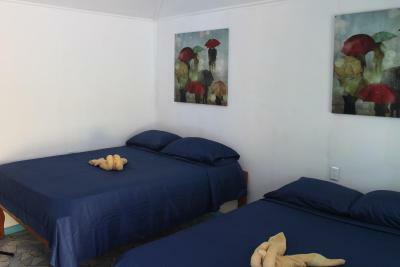 Guest rooms at the accommodation come with a seating area. 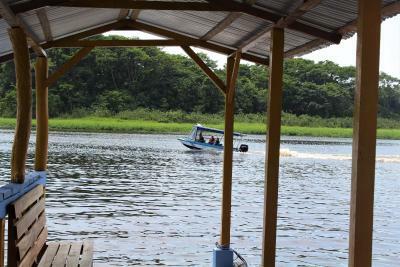 This property is also rated for the best value in Tortuguero! Guests are getting more for their money when compared to other properties in this city. 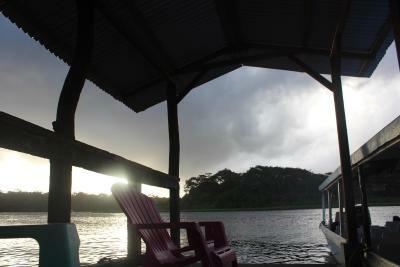 When would you like to stay at Tortuguero Hostel & Backpackers? 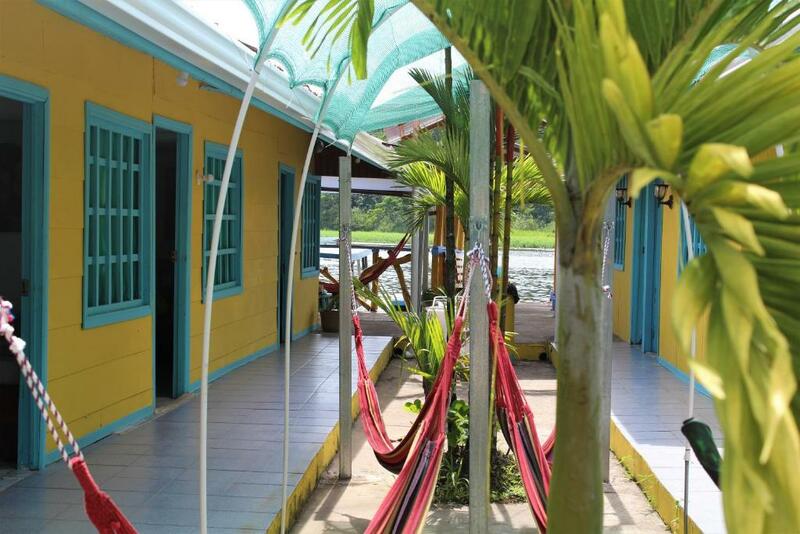 House Rules Tortuguero Hostel & Backpackers takes special requests – add in the next step! Not the best maintained room but that was fine for a day. The fan in the room was not the most efficient . Rooms are screened; nice for the breezes but made even the slightest conversations sound like the people were right there in the room with you. My room was on the end, next to the dockside hammock area, Understandable that people want to be out there, but chats went into the wee hours. There are so many signs for 'No Smoking.' Would be nice to also have a few with a set quiet hour - just for guests to be mindful at 1am that others may be trying to sleep! The kitchen was poor, take your matches with you or better eat in the restaurants. Be ready to dogs barking in the night! 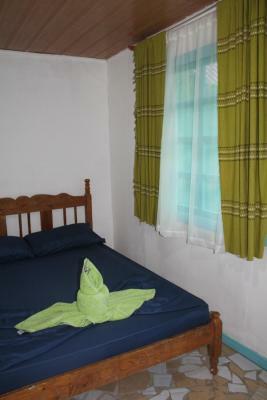 The room was pretty basic with poor quality towels (2 for 4 people! ), air did not circulate, and the fan wasn't great. The bathroom was super basic and cramped. First bedroom was tiny, there were cockroaches, crabs and lots of mosquitos. The nets were ripped so expect to be bitten alot. We got moved to a better bedroom the second night but this still had mosquitos as the net wasnt secured. 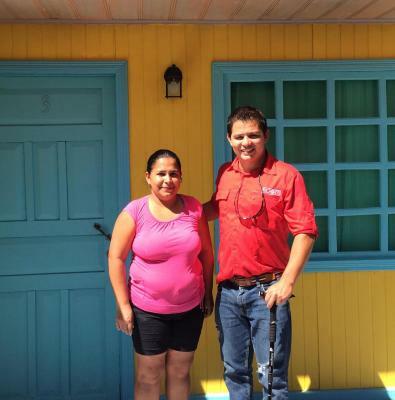 Great location, very helpful staff and good price. 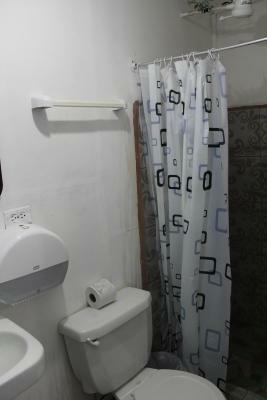 Small room and minimal quality in bathroom although, the beds were comfortable. Extremely hot.... They need another window for airflow. Could not sleep at all. Bathroom had awful smell which went into the room if the door wasn't shut at all times. 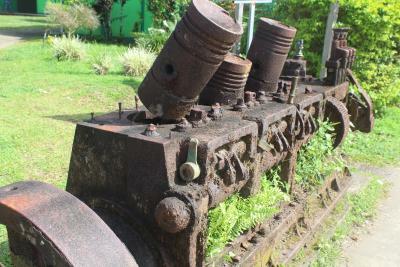 Im curious if they clean it with anything other then water. WIFI was not really good. Everything! 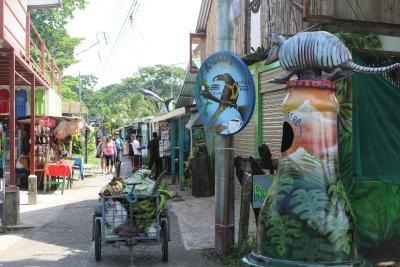 Tortuguero is a small but colorful village, full of happiness, the hostel reccomend us their tour company Costa Rica Roots tours, we did the canoe tour, it was spectacular!